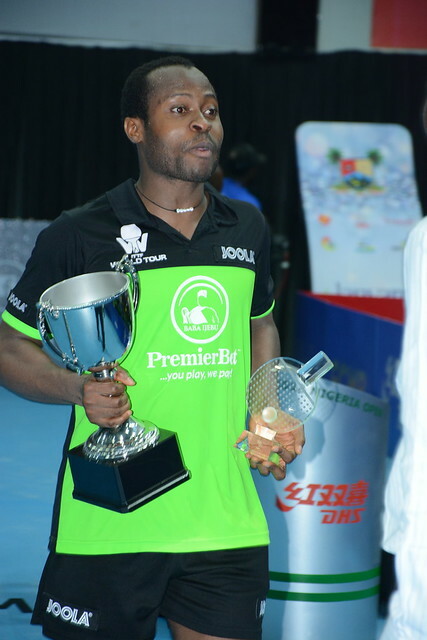 The destiny of one title guaranteed at the start of play on Saturday 11th August at the 2018 ITTF Challenge Seamaster Nigeria Open in Lagos but for another there was a degree of doubt; when matters concluded in the Under 21 Men’s Singles and Under 21 Women’s Singles event, there was no doubt whatsoever. Both titles finished in the hands of China. Guided by Ma Yufei, the destiny of the Under 21 Women’s Singles title was known; all four semi-finalists were from China. In the Under 21 Men’s Singles event, India’s Ronit Bhanja and Egypt’s Mahmoud Helmy stood in the way; they were semi-final adversaries. The verdict went in favour of Ronit Bhanja (11-5, 11-4, 11-9); in the final he faced Wang Shaobo, who had booked his place in the title deciding contest, courtesy of success against colleague Liu Jialiang (11-8, 11-5, 11-6). A convincing semi-final win for Wang Shaobo, it was the same in the title decider; he beat Ronit Bhanja in three straight games (11-8, 11-3, 12-10). Impressive from Wang Shaobo, it was the same in the Under 21 Women’s Singles event from Guo Yan; at the final hurdle she accounted for Fan Siqi (11-7, 7-11, 11-8, 11-9), having in the penultimate round beaten Sun Chen (11-6, 11-6, 12-10). In the corresponding semi-final, Fan Siqi had overcome Wang Shu (11-9, 15-13, 9-11, 11-7). It is for Wang Shaobo and Guo Yan, their first ever titles at an ITTF Challenge Series or ITTF World Tour tournament.